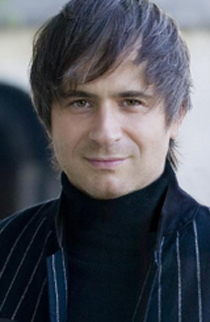 Piotr Anderszewski, piano, is regarded as one of the outstanding musicians of his generation. In recent seasons he has given recitals at London’s Royal Festival Hall, the Wiener Konzerthaus, Carnegie Hall New York, the Mariinsky Concert Hall in St. Petersburg and Munich’s Herkulessaal. His collaborations with orchestra have included appearances with the Berlin Philharmonic, the Boston, Chicago and London Symphony orchestras, the Philadelphia Orchestra and the Orchestra of the Royal Concertgebouw. Anderszewski has performed with many of the world’s major conductors including Claudio Abbado, John Eliot Gardiner, Bernard Haitink and Charles Dutoit. He also works regularly with members of the newer generation of conductors such as Gustavo Dudamel, Stéphane Denève and Yannick Nézet-Séguin. An exclusive artist with Virgin Classics since 2000, Anderszewski’s first disc on the Virgin label was Beethoven’s Diabelli Variations, a much-lauded recording which received a number of prizes including a Choc du Monde de la Musique and an ECHO Klassik award. His discography also includes a Grammy-nominated CD of Bach’s Partitas 1, 3 and 6 and a critically-acclaimed disc of works by Chopin. His affinity with the music of his compatriot Szymanowski is captured in a highly-praised recording of the composer’s solo piano works, which received the Classic FM Gramophone Award in 2006 for best instrumental disc. His most recent recording, devoted to solo works by Robert Schumann, was released in November 2010. He has also been the subject of two award-winning films by Bruno Monsaingeon (creator of documentaries on Glenn Gould and Sviatoslav Richter). The first of these, Piotr Anderszewski plays the Diabelli Variations (2001) explores Anderszewski’s particular relationship with Beethoven’s Op.120, whilst the second, Piotr Anderszewski, Unquiet Traveller (2008) is an unusual artist portrait, capturing Anderszewski’s reflections on music, performance and his Polish-Hungarian roots. A third collaboration with Monsaingeon, Anderszewski Plays Schumann was recently broadcast by Polish Television. Engagements in 2010-11 include recitals at the Zürich Tonhalle, London’s Barbican Centre, the Théâtre des Champs-Elysées in Paris and Suntory Hall in Tokyo. Anderszewski will also tour North America with the Scottish Chamber Orchestra, playing and directing Mozart concertos from the keyboard. In spring 2011 he embarks on a European tour with German violinist Frank Peter Zimmermann and is also the featured artist in four concerts at the Laeiszhalle in Hamburg. His orchestral engagements include concerts with the Deutsches Symphonie-Orchester Berlin, the SWR Sinfonieorchester, the Philharmonia and the Chamber Orchestra of Europe.